Chronic kidney disease is a serious condition that results from blocked blood vessels. 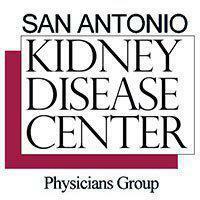 At San Antonio Kidney Disease Center Physicians Group, P.L.L.C. in San Antonio, the nationally recognized team of nephrologists offer the most comprehensive kidney care and treatment options in the area, including angioplasty procedures to reduce your risk for kidney damage and failure. The medical staff also provides the resources you need to make lifestyle changes to improve your overall kidney health. To find out if you’re a good candidate for angioplasty, schedule an appointment by phone today. An angioplasty is a procedure that’s effective in opening narrowed or blocked blood vessels in your kidneys. A stent is put in place to improve your blood flow through the arteries into your kidneys. This ensures your organs receive the nutrients and oxygen they need to function normally and stay healthy. This type of surgical treatment is useful in treating and preventing chronic kidney disease and kidney failure. What can I expect during an angioplasty? Your surgeon at San Antonio Kidney Disease Center uses a slender catheter device with an attached balloon. An X-ray machine helps guide the catheter into the correct position by providing images your surgeon needs to access the treatment area. The balloon expands in your blood vessel as your surgeon inflates it with air through the catheter. The inflated balloon pushes out the vessel walls to allow blood to flow more freely. The surgeon may also place a stent, a specially designed mesh support, to keep your vessel open for the long term. Your surgeon performs an angioplasty while you’re under a light sedation or general anesthesia for your comfort. The surgery requires only a small incision for catheter entry and ensures you can heal faster with fewer complications. How long does recovery from an angioplasty take? Following the procedure, your physician monitors your vitals and checks the incision site before you can return home to recover. Your surgeon provides aftercare instructions on how to care for your incision at home. You should avoid heavy lifting and strenuous activity for one to two days after your treatment. Your surgeon may prescribe blood thinners for a period of time to prevent the formation of blood clots. Will I need more than one angioplasty treatment? Placing a stent during an angioplasty procedure is an effective way to slow down kidney disease that results from narrowed or blocked blood vessels. However, there is a possibility the vessels will narrow again in the future. You may also need to have an angioplasty in other areas of your body if you have multiple blockages. It’s important that you follow your physician’s recommendations for a healthy diet and other lifestyle changes to maintain healthy vessels and prevent the gradual development of kidney disease that can lead to kidney failure. To find out if angioplasty is the right treatment option for you, schedule a consultation by phone at San Antonio Kidney Disease Center Physicians Group, P.L.L.C.